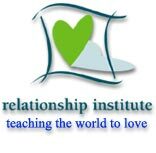 Are you involed in a relationship? are you involed in any kind of relationship..? I am living with my fiance for 8 months so far and we are engaged.We are going to get married next summer :) I am very happy! Yes I am involved in a relationship right now. My husband and I have been married for almost three years. We will see how the next three years go. I have a man and we are to be getting married soon.